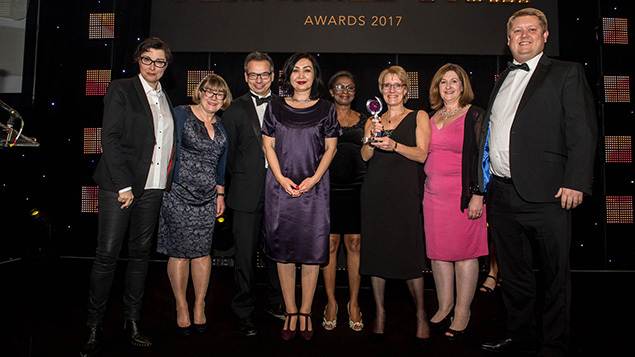 The Enfield council team receives their prize from Sue Perkins at the Personnel Today Awards 2017. The council has historically struggled to recruit to some roles that cross-over with the private sector, partly because salaries are lower than in its private counterparts. Due to recruitment difficulties several roles have been covered by agency workers at significant extra cost. In response, Enfield developed a recruitment strategy to attract candidates to a career within local government. This included the redesign of its recruitment site to highlight the benefits it can provide including a diverse range of jobs, local employment, flexibility and professional development. Recognising that there is a local untapped pool of talented professionals waiting to return to work Enfield developed a Career Returners @ Enfield Programme, a six-month “returnship” (higher-level internship). The local authority worked in partnership with Women Returners, a consultancy, coaching and network organisation that focuses on enabling talented professionals to return to work after extended career breaks. Women Returners has led the introduction and uptake of returner programmes in the UK and has partnered with a number of other organisations to set up similar programmes. Enfield advertised the programme on its recruitment site, LinkedIn and Facebook pages and through the Women Returners website, network and social media. The roles on offer included lawyers, IT, finance, surveying, programme management and regeneration specialists. Some 94 applications were received for just six available places on the programme. Although the programme was open to both men and women all successful delegates were female from a range of ethnic backgrounds. The programme has encouraged hiring managers to consider returners more broadly for roles at the council. The success of the programme internally has already generated demand from other managers across various services who want to recruit a returner for their team. It has already enabled the council to release some agency workers which will improve stability within the workforce as well as reduce costs. Atom’s People Experience team needed to hire a team to create and build the UK’s first mobile app-only bank. This involved designing and implementing a recruitment process from scratch that not only aligned to the culture and goals of the organisation, but provided the candidates an opportunity to demonstrate their knowledge, skills, experience and above all gave them an opportunity to be themselves and have fun. For customer support roles, a clear role description was established and “intelligence” levels gauged (this does not mean intelligence as in IQ but intelligence categories, which for Atom are Emotional, Technical, Organisational, Me and Atom intelligence). After brainstorming sessions it was decided to implement a video interview stage. This allowed the team to view candidates’ ability to think on their feet, as well as introducing something different and fun. The team recorded a welcome video to play to candidates before starting the video interview, to give them a feel for the organisation. Successful candidates then progressed to an assessment centre, where they performed tasks aligned to the intelligence categories Atom requires. These ranged from designing the Atom office to playing the part of an executive in a round table discussion. There was also a 30-minute informal chat towards the end to allow the HR team the opportunity to explore areas that may not come up during the day. This gives the candidate an opportunity to discuss their experiences and skills on a one-to-one basis. All design and implementation of the recruitment process was designed by Atom, for Atom, although candidates were sourced by recruitment partner NRG. The supply chain sector faces a talent shortage. Significant increases in demand, combined with an ageing workforce and the need for new logistics skills, has turned a skills gap into a chasm. Partly in response to this, DHL Supply Chain (DSC) in UK and Ireland has developed a recruitment strategy to attract those leaving the military services. The DSC recruitment team in the UK is a team of 16, based in Milton Keynes. One of the team’s principal objectives has been to reduce recruitment agency spend – and its efforts in 2016 have resulted in an estimated saving of £1.6m for the business. 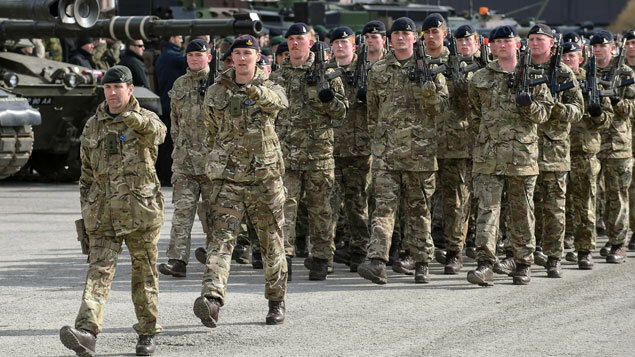 DSC recognises that 80% of military service personnel have logistics experience, and more than 18,000 individuals are leaving the armed forces every year with logistics skills and qualifications. At the same time, it was well known that some ex-service personnel struggle to adapt to civilian life. These factors combined to make DSC determined to deliver a step change in its understanding of the needs of service leavers – and attract them in numbers to the organisation. DSC joined the Career Transition Partnership (CTP), the Ministry of Defence’s vehicle for armed forces resettlement and from mid-2015 it worked hard to develop a mutually supportive relationship with 159 Regiment of the Royal Logistics Corps, particularly around developing opportunities for service leavers. DHL’s Armed Forces Engagement Group has collaboratively designed a competency mapping tool to educate service leavers and DHL HR personnel to increase understanding in the identification of suitable roles for service leavers within DHL based on their rank, experience and qualifications. This process began when the UKI recruitment team was offered a CV workshop to understand the various military grades. The relationship between the Armed Services and DHL Supply Chain has been one of real mutual advantage that offers tremendous opportunities to a large number of service leavers looking for a second career. In 2016, SAP recognised it lacked an enticing brand image and needed to recruit differently, particularly as it competes for the same type of employee as Google and Apple. To help it stand out it launched a brand new “humanising” employee value proposition, reflecting staff’s life stories. The goal was to showcase the multidimensional life of employees and to ask of candidates “Bring Everything You Are. Become Everything You Want”. It decided to publish a weekly humorous cartoon series: Life at SAP Illustrated. The response of the Global Marketing department when the cartoon was proposed was not encouraging. The HR team was told: “You’re recruitment, not bloody Pixar!” But the team persevered and delivered. When looking at social media, SAP’s key goal was engagement. It asked “what are the most engaging items on social media that generate shares, likes, comments?” Data shows that games, quizzes, photos, videos and cartoons create the most engagement. The team knew a cartoon would create repeat engaged visitors for its recruitment social media channels and thought it likely that people would grow to engage with the characters. HR demonstrated to marketing the foundations of its research, that it had a detailed strategy. The characters were to have quirks and flaws but were never to be rude or incompetent. This started to convince the business. To get the characters just right, and authentically SAP, the key components of SAP’s DNA and employer value proposition were analysed: respect, innovation, work-life balance, diversity and inclusion, job-interest alignment, entrepreneurship, and more. For example there is Karen, a remote employee living the US; Hans, a developer from Germany; Lily, a more senior female developer from China; and Winslow, the team manager from the UK who is known for his analogies and inspirational quotes. Our judges said it was a “great concept” and an innovative way to engage with employees and candidates. SAP estimates that some of the cartoon editions reached more than 90,000 people through shares and likes. AA realised that its conventional recruitment website was not delivering the goods, and devised a totally new way for candidates to interact, using a “chatbot”. Asking a series of questions, candidates can access all the information from the website within the chatbot, such as complete job listings, with responses directly connected to the visitor’s interests. The AA team also recognised a need to break new ground technically so its developers turned to cutting edge software in Microsoft’s Bot Framework. This was difficult because as the framework was still in a beta phase, so pathways for the bot had to be built while the core code changed constantly. The team redesigned the wider website to present a warmer, more engaging brand image, making the AA’s own people the central focus through more use of photography. This was combined with a wealth of video content and interactive effects, including dynamic scrolling and an expandable locations map. In February 2017 the brand new careers site was launched. Early results indicate the chatbot is having a really positive effect. The AAbot itself has enjoyed 4,381 page views (274 per week), and a dwell time of well over two minutes. It indicates that site visitors are now engaging with the wider story of the AA, and taking away a better understanding of the breadth of roles on offer. AAbot is already a breakout star, says the company, appearing in digital ad banners on job boards, driving website traffic. There are further plans to let AAbot loose across the end-to-end recruitment process: in social media engagement activities such as live chat, and taking a starring role at selection and induction touchpoints.